Du and I met in an organic chemistry laboratory class we were taking as a prerequisite for applying to the Naturopathic Doctor program at the Canadian College of Naturopathic Medicine (CCNM). Once at the College, our friendship developed, and it was natural that we should build a practice together upon graduation. We founded Toronto-Centre Naturopathic Medicine in 2003. Our first practice was in a single office within the health clinic at the now defunct Bally Total Fitness™ in the Eaton Centre. In 2006, we moved down the street to a larger, shared office at 180 Dundas Street West, at University Avenue. In time our practice grew from a single office to two offices, we required more office support than could be accommodated by a shared staff, and we began to yearn for a place we could call our own. With the birth of our older daughter, Esmé, we had begun to notice the strain of commuting downtown daily, being “present” for each and every patient appointment, managing our growing practice, raising a young child and trying to maintain some semblance of balance in our lives. Starting a family also raised in us an awareness of how much we enjoyed the idea of belonging to and serving a community – like a small town family practice where the office environment is friendly and relaxed, and the doctors know and treat generations of families. Late in the summer of 2011, while at The Rooster (Rooster Coffee House, for those not from the neighbourhood), we noticed a “For Sale” sign on the lawn at 475 Broadview Avenue, a three-storey home overlooking Riverdale Park. 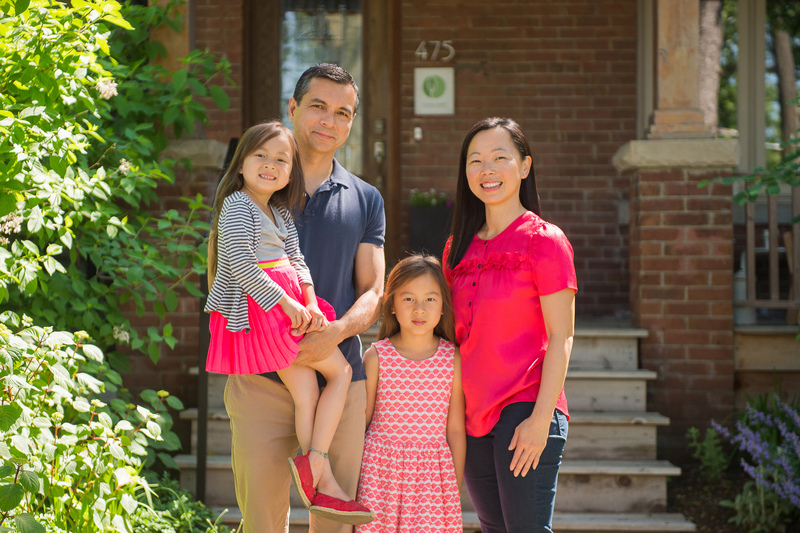 After eight hectic months we had completed a major renovation, moved our home and workplace, “rebranded” as Toronto Centre for Naturopathic Medicine (because we’re now approximately 100 meters outside of Toronto-Centre), and welcomed to our family our younger daughter, Anja. We opened Toronto Centre for Naturopathic Medicine at 475 Broadview Avenue July 4, 2012. Since then, we (and Melissa Dunseith, RMT, who has been with us since “day one”) have been joined by John MacIntosh, ND, RMT; Jennifer Parsons, ND; Jessica Sangiuliano, ND; Janice Wu, ND; and Lindsey Mallais, ND. Riverdale, as a place to live and practice naturopathic medicine, has lived up to every expectation we could have had. When we first moved here, a neighbour had made the comment “it’s like a small town here”, and it is. We could not be more grateful the opportunity to live and pursue our vision in such a great community. Welcome to our healthy community. We invite you to look around, and contact us with any questions. It would be our pleasure to help you achieve your health goals.